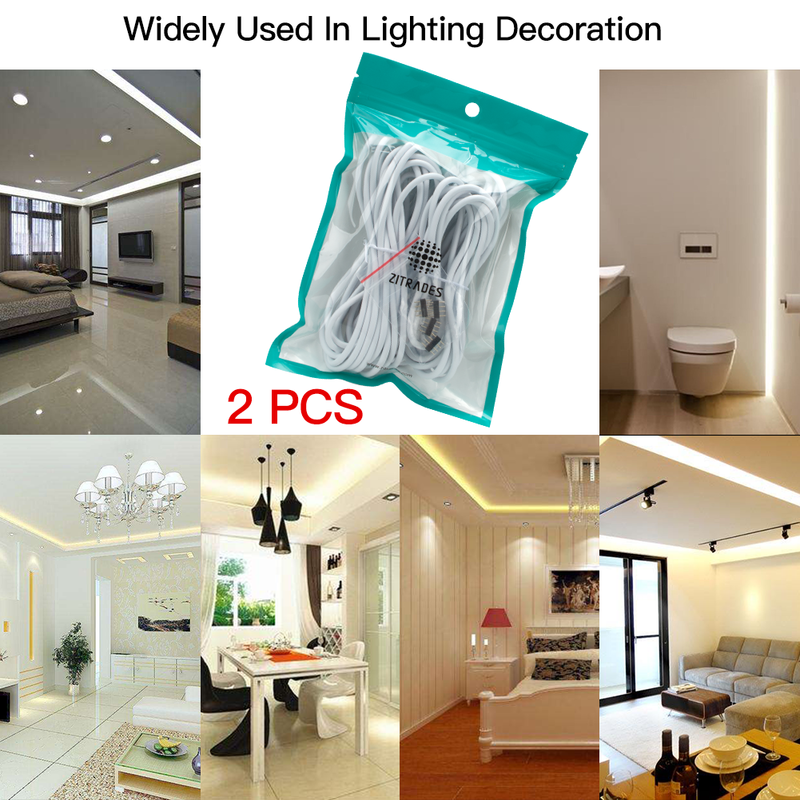 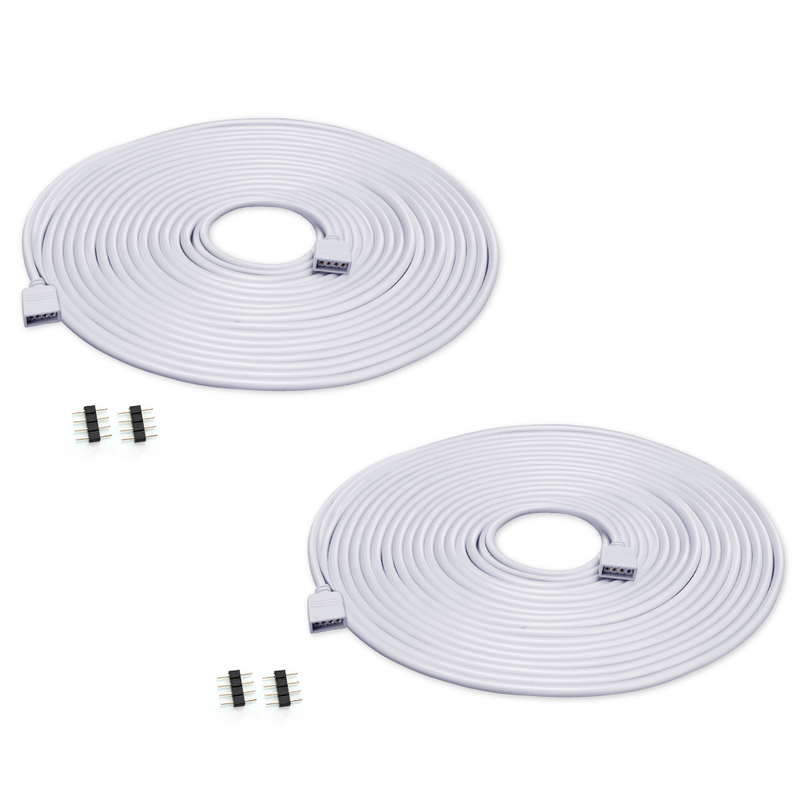 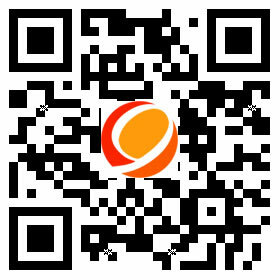 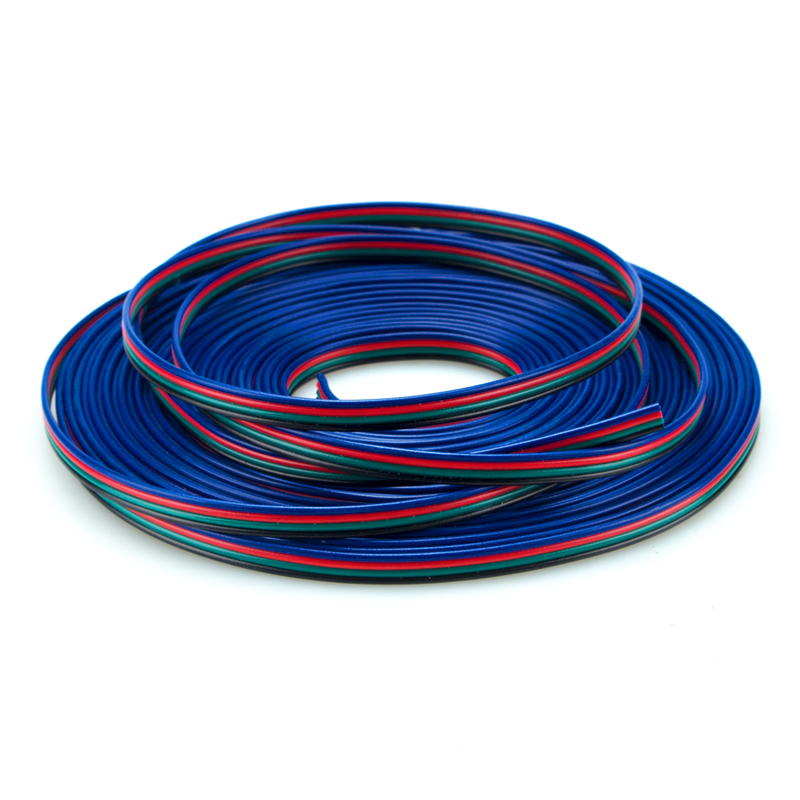 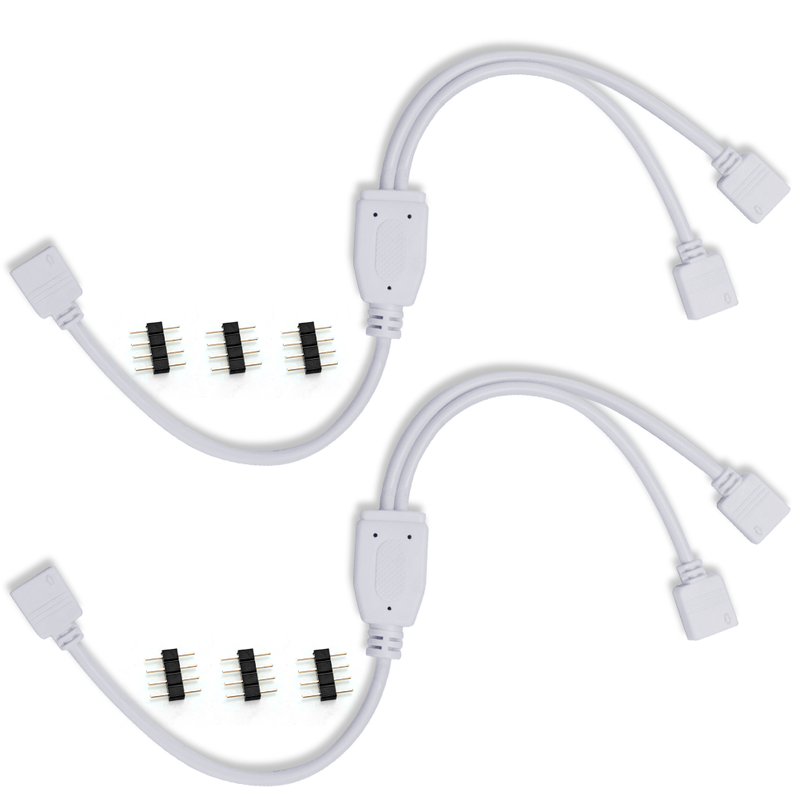 Cable length: 5m, 2pcs extension cable with 4pcs 4pin plugs. 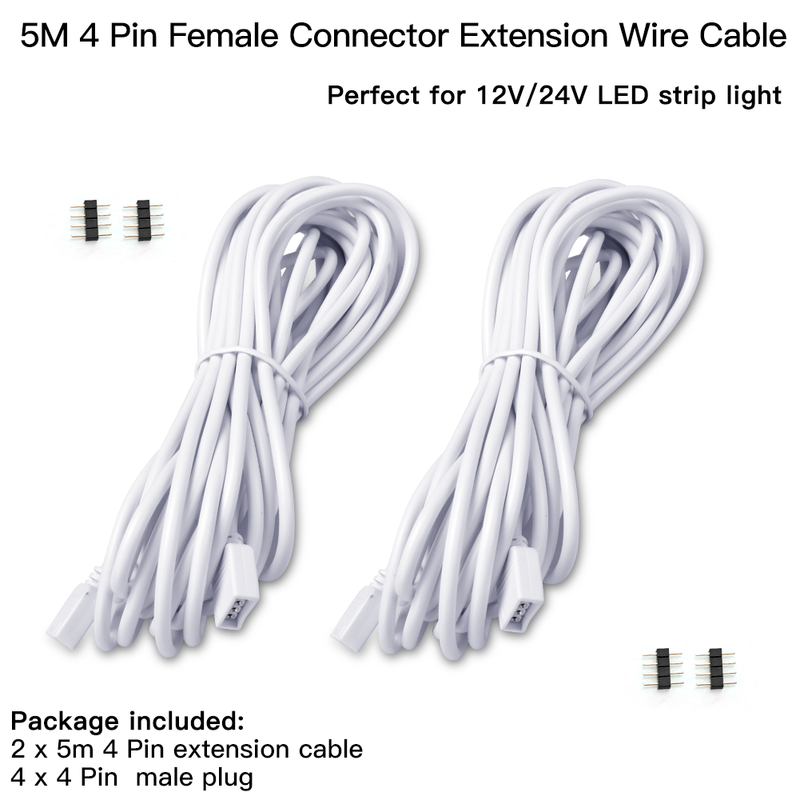 Package content: 2 extension cable, 4 male 4pin plugs. 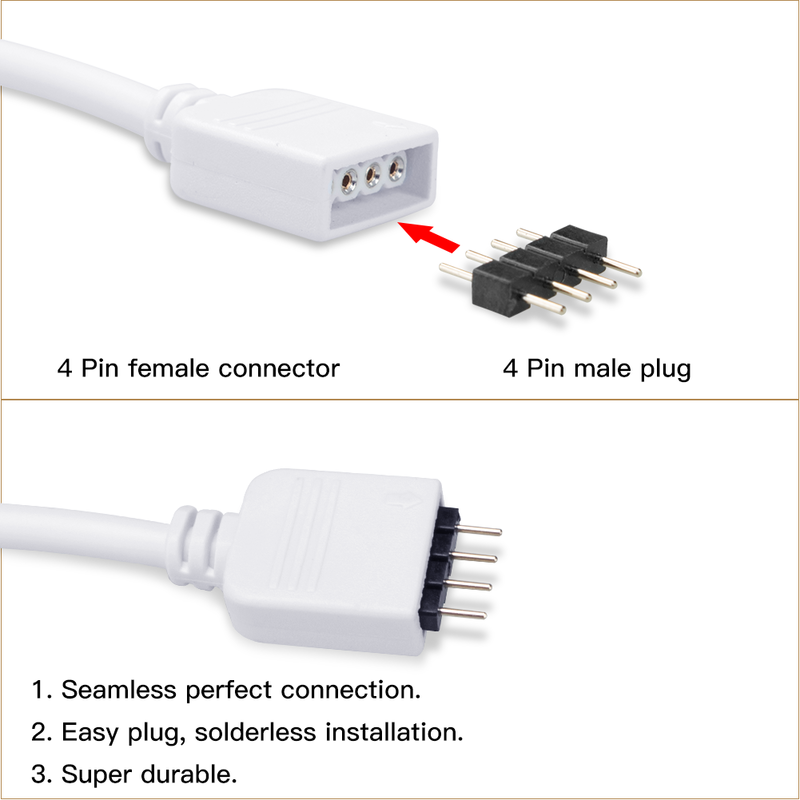 2 x 5M extension cable connect female plug. 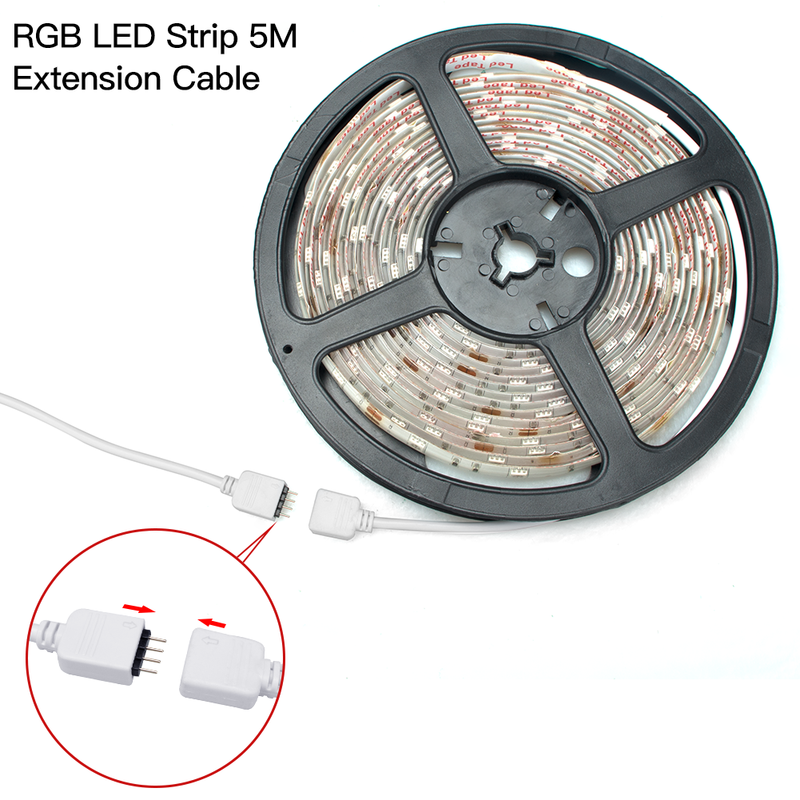 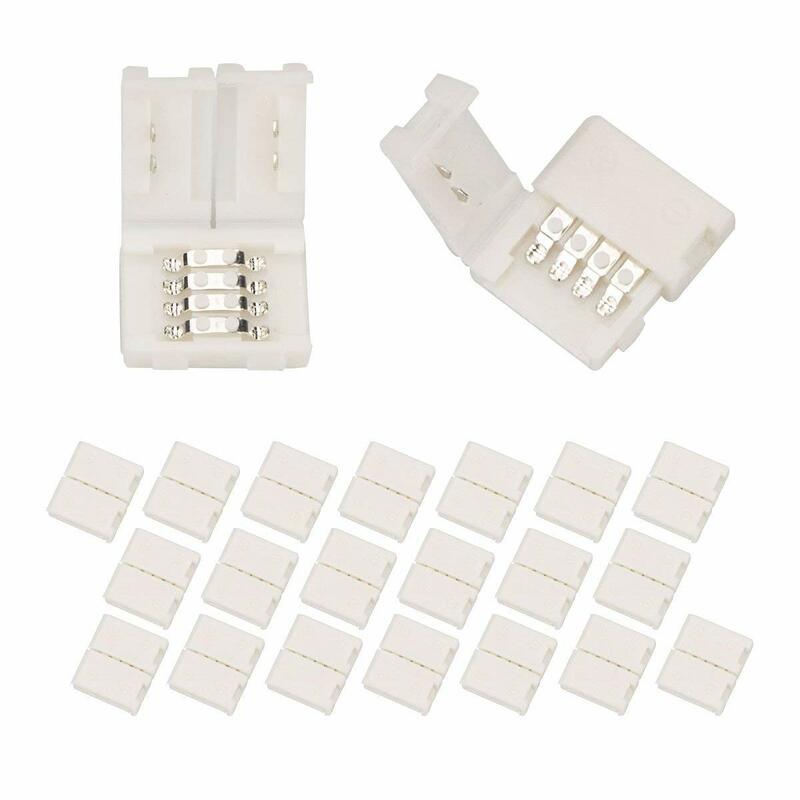 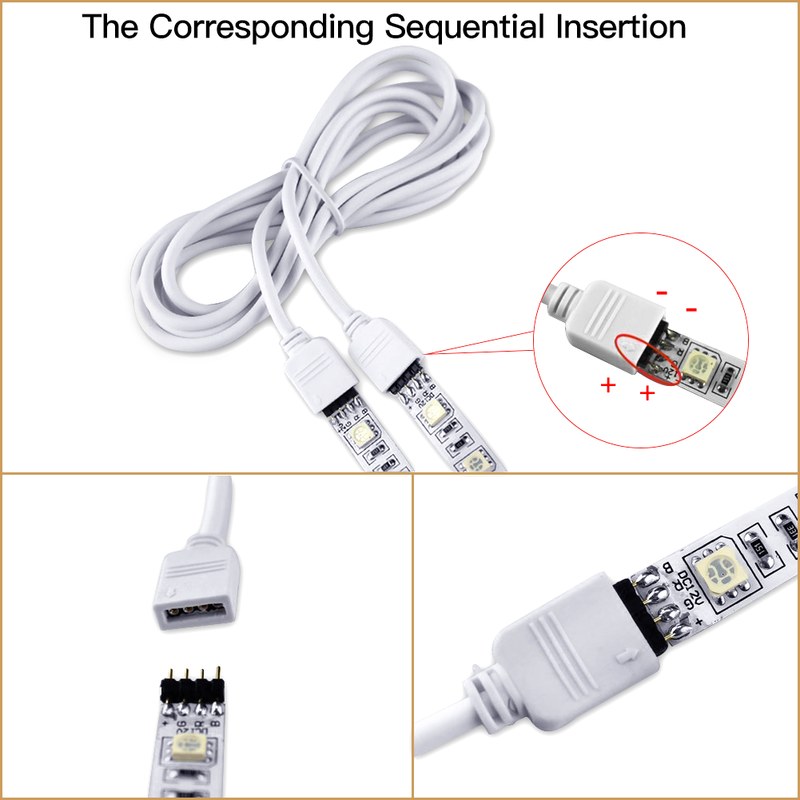 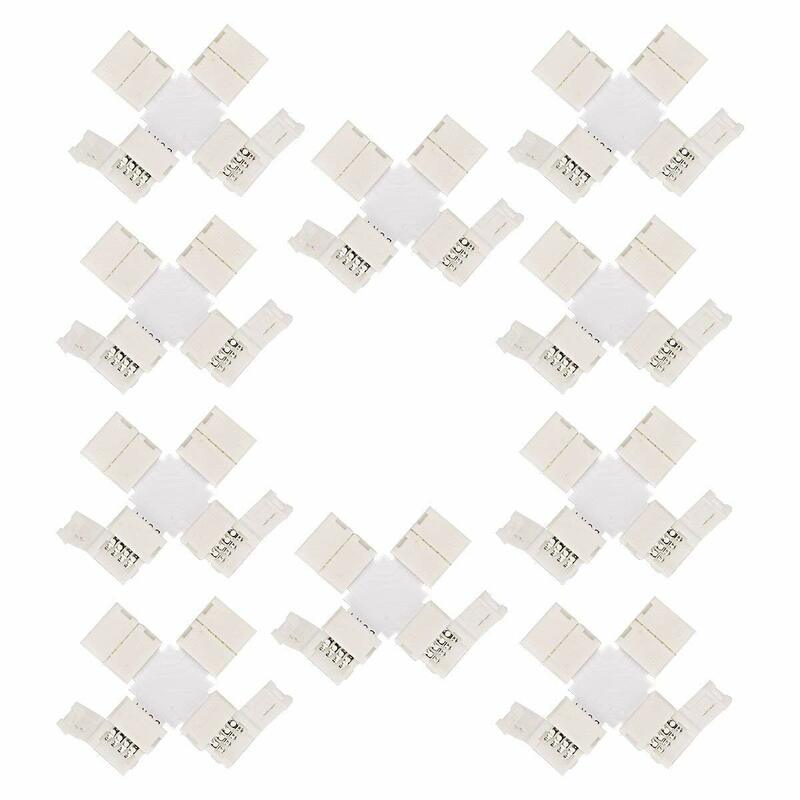 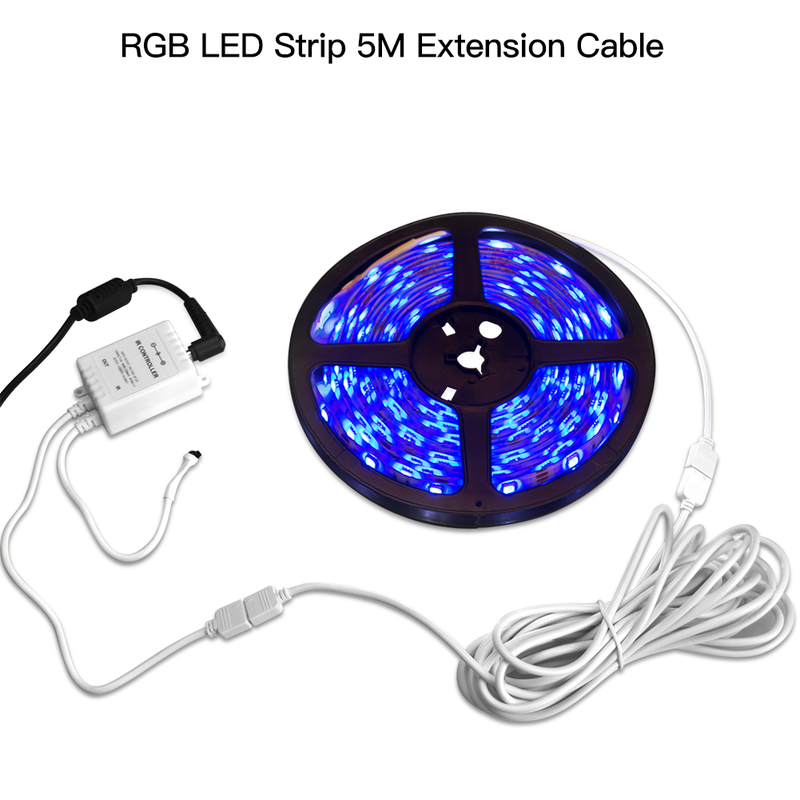 Female connector adapter cable plug for led strip lights RGB5050 3528; A perfect solution for connecting led strip with controller or strip to strip connection.